Are you looking for an attractive and practical way of opening up your home and having an attractive gateway onto your patio? If that is the case, then you need to call the team at Clear View today on 08001 357 167 and ask about our patio doors Barnsley. We have an extensive range of products that come with professional and efficient installation, so get in touch and let us know how we can help you. 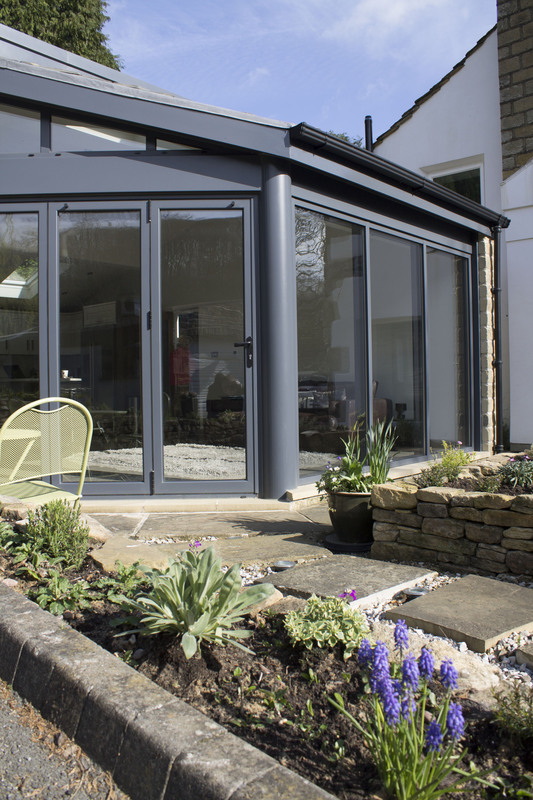 Is there any better feeling that sliding open your gorgeous aluminium framed patio doors, Barnsley, onto your patio during a bright, sunny morning? If there is, then we haven’t found it yet. The feeling of smoothly sliding doors and the warm sunshine beaming down on you is a wonderful thing. Many of our customers are discovering this joy more and more by getting our skilful team to install new patio doors in Barnsley. Our knowledgeable team is well versed in the provision and installation of many different styles of doors, so you can be sure you’re in good hands. When it comes to choosing a company for Barnsley patio doors, it always pays to make sure you are using the most reputable business on the market. With this in mind, it’s no surprise that many people are choosing Clear View because they know it’s a name they can trust. For every job we undertake involving patio doors Barnsley, the results are insured and guaranteed because we are confident in our products and the skills of our professional engineers. Additionally, you will always receive service directly from Clear View and never a subcontractor. We take great pride in every project that we are involved in and it benefits everyone to have our team taking care of everything. Why Choose Us for Patio Doors Barnsley? Whether you would like to utilise our services for patio doors Barnsley by itself or require a more comprehensive home improvement service, we are the team you need. Over the years we have been established, we have held ourselves to a higher standard than our competitors, both in terms of product quality and customer service. This is why so many of our new clients wanting Barnsley patio doors come from previous customer recommendations to their friends, family, or colleagues. This will give you the opportunity to learn all of the answers to the questions you might have, and receive a no-obligation quotation for the project you have in mind. Our designers will happily show you all of the patio doors in Barnsley we have available and help you choose the right one for you. We have examples of our latest projects, which may serve to give you inspiration about what you would like installed. 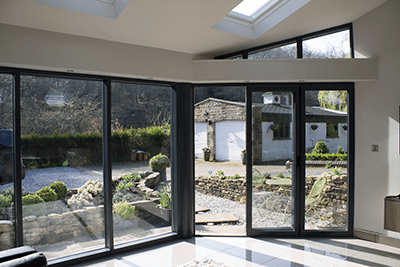 If you would like more information about our patio doors Barnsley, any other products and services we offer, or have an enquiry, call our team today on 08001 357 167. A friendly and knowledgeable member of staff will be able to give you all of the information you need. 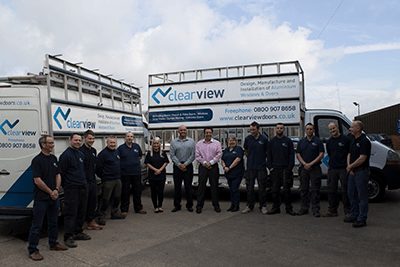 Alternatively, you can contact us by filling in the online form on our website or by sending an email directly to sales@clearviewdoors.co.uk. We will endeavour to reply quickly and comprehensively to your queries. So, if you’re in the market for competitively-priced Chesterfield bi fold doors constructed to the highest industry standards, look no further than Clear View.